A Sense of West Cork is an initiative by Uillinn: West Cork Arts Centre supporting local artists to showcase and sell artwork, and providing the public with an opportunity to purchase affordable artworks and support local artists. 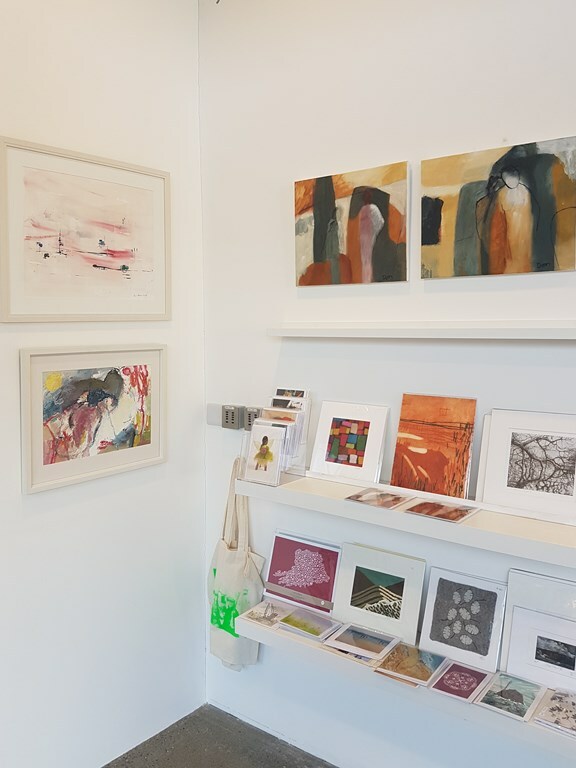 Situated in the foyer A Sense of West Cork stocks unframed mounted original artworks, prints and cards by artists from throughout the region, including painters, photographers, printmakers, textile artists, illustrators and more. All unframed work in the foyer is priced below €200, with many pieces available for less than €100, making it possible for everyone to consider buying a local artists work for themselves, or as a gift. We regularly have in stock small, original works on paper, by artists including Angela Fewer, Janet Murran and Laura Wade, photographic prints from local photographers including Geoff Greenham, Richard Winfield and Reddy, and high quality print versions of original paintings by artists such as Dee Pieters, Damaris Lysaght and Geraldine Keane. We also carry stock from small local craft producers including Petal to Petal's illustrated prints, and feltwork from Feltastix. This is only a handful of the many local artists work we carry so call in to browse the selection for yourself. The foyer also features regular exhibitions of work by local artists curated through a series of projects organised by Alison Trim. See here for more information on how to have your work included as part of A Sense of West Cork.